Here is Honey. We bought her on Saturday at the Olds Auction. We are very pleased with her. My two boys both like her. She is nice and quite to work around except her swishing tail. Both boys got to ride her this week but my camera batteries quit so no photo of Adam yet. Here is Wyatt on her. Can you see that smile on his face? 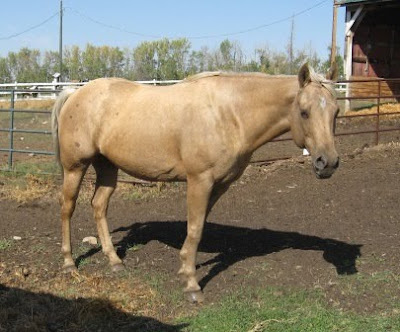 Honey has been a trail riding horse for kids camps for the past two years. 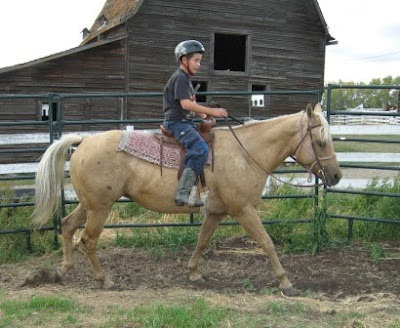 We have been doing more trail riding and hope the kids can join us more and more. 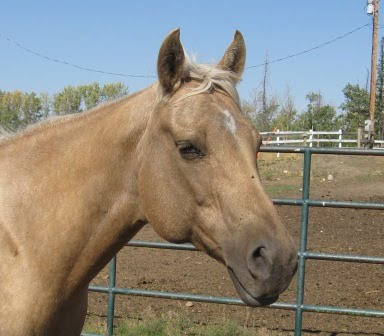 We have plans to take the two kids and two horses to some riding lesson at a local trainer's. She looks like a great horse!